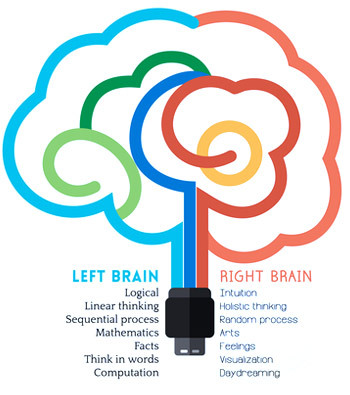 When Making Business Decisions Are You a Right Brain or Left Brain Thinker? THE LEADING EDGE - Mechanic Advisor's Connection Key - $45 dongle that plugs into your car and retrieves diagnostic information. In our personal lives the New Year is a great time to celebrate - sometimes with New Year's Eve parties and family reunions. It's a wonderful time, even though we know we have to face the credit card bills that come in the mail after the New Year. In business it should be time for reflection, looking back on last year; figuring out what worked and what didn't and applying that experience into plans and dreams for the coming year. For any entrepreneur it really is a great time to think about the business; where you've been and where you're going. The best way to deal with this opportunity is to use the tried and true method of putting it in writing. 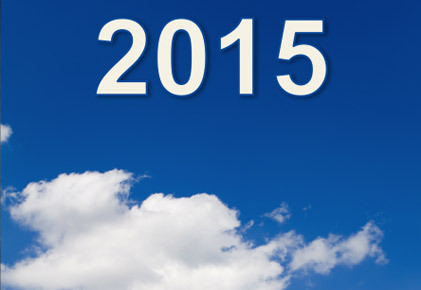 Start with a list of things that worked out well for you in 2014. Did any of these occur by luck or were they the result of good planning on your part? There's nothing wrong with things that go well with luck - you can still use them as a prompt to perhaps expand on that project or new client or whatever and leverage that into your New Year's plans. Then examine what didn't work, where you lost money on a project or strategy perhaps. Did you overextend yourself on advertising spending? Did you hire a new staff member before you were really ready? Did you fall into the trap of giving too much of yourself away in order to impress a client rather than billing the full amount that logic says you should have charged? These are what Thomas Edison called "the wonder and thrill of doing it wrong the first time." He once said that he had figured out through failure, several hundred ways how not to build a battery. Accept responsibility and don't blame anyone else. Analyze the situation and figure out where you went wrong. Look for corrective measures and implement them. Take note of the lesson learned from the mistake. Build those lessons into your New Year plan. Once you have your list of what worked and what didn't, find a quite corner to reflect on how you might have dealt with each of these issues differently; both the good and the bad. Then and only then start on your plan for the new year, incorporating your mistakes and your small victories into your strategy for 2015. In looking at your strengths and weaknesses, where are you ahead of your competition and where are you falling behind? Are you using available technology? Studies show that many small business owners are not taking full advantage of the opportunities in social media. If you find it hard to understand Twitter, LinkedIn and SEO's find someone who loves the stuff and see if you can work out a way to compensate him or her; maybe reducing the cash outlay using contra services if you can offer something that they need. Here's some resolutions for you to consider in the new year. I will promote my business regularly and consistently. Set weekly and monthly goals for marketing and adopt a PR strategy by building relationships with local business reporters. Learning something new will help you add a new dimension of interest. It doesn't have to be a business skill, since anything new can broaden your horizons. Work your network by always being there to assist your colleagues and friends. Think of the term, 'Paying it Forward'. Find people with common interests since making the effort to be a part of a group (or even leading a group) will revitalize you and your business. I will give something back to my community. Make a New Year's resolution to find a cause that matters to you, and give what you can. Take a fresh look at your November edition of the Leading Edge for the story on doing well by doing good. Customer surveys, focus groups, having regular open house events and periodic one-on-one meetings with key clients are all great methods of finding out what they're priorities are. People love to be asked. I will have the courage to drop what's not working and move on. All products aren't going to be super sellers, all sales methods aren't going to work for everyone, and all suppliers or contractors aren't going to be ideally suited to your business. If a technique or a product or a business relationship isn't working for you, stop using it. When starting out a new business we immediately think of the obvious. We focus on issues such as where we source our product, the cost of acquisition; do we need to rent premises; if we need staff how will we cover payroll and so forth. Well down on the list if at all, little thought might be given as to how we can protect ourselves from unforeseen circumstances. Thinking through all of the things that could harm the company's ability to manage the business effectively is called Risk Management. There are two major aspects to risk, the first of which is prevention and the second is insurability. The prevention aspect is your responsibility and if well executed will not only stop you from the hassle of making an insurance claim but can also reduce the cost of premiums. Insurability is meant to address the possibility that some event could damage the company's ability to meet its objectives in a way that could not be foreseen in spite of your prevention programs. When assessing potential risks, never assume a best-case scenario. Knowing that the Fire Department is only six blocks away isn't good enough. A fire could be disastrous even in a few minutes. In every community, the fire chief or fire marshal will be happy to come to your place of work and assess your preparedness as well as give you a number of tips. The emergency preparedness office will do the same regarding earthquake preparedness. These visits have many advantages. Your staff will know you care for their safety, your important business property will be safer and your insurance company will know you are doing all you can to minimize risk they might have to pay for. You've got a first class, motivated staff, but mistakes can be made and sad to say, employees can sometimes be put under pressure that results in financial mismanagement or even fraud. Errors could result in you losing a significant amount of money. A major florist recently ordered 50 boxes of Christmas Poinsettias only to find out that an employee had mistakenly put out a purchase order for 50 flats, rather than boxes; a difference of several thousands of dollars of product that she couldn't sell. Most insurance companies offer something called Key Person, formerly known as Key Man, insurance. Key Person insurance is simply life or disability insurance on the key individual in the business. In a small business, this is usually the owner, the founders or perhaps a key employee or two. These are the people who are crucial to a business - the ones whose absence could sink the company. The purpose of key person insurance is to help the company survive losing the person who makes the business work. There are many other types of insurance including director's liability, and employee health and disability. The trick is to buy only the insurance you need and not get carried away. The best risk insurance doesn't require a paid premium and that is prevention. You may form the idea that prevention is costly time-wise, but in the end it's a money saver since as already mentioned, it can reduce your premiums while sending a strong message to employees and customers that this is a well run ship that is serious about everything from safety to product and service quality. Prevention also includes employee training, safety checks, regular equipment inspection, and overall preparedness and maintenance of the physical premises. Don't be overwhelmed by all of the risk issues. When starting out or reviewing your operation, the first thing you should do is sit down with an insurance broker. These professionals usually represent a number of insurance carriers, rather than just one supplier. Go to them as prepared as you do when you meet with your banker. Have all your concerns written down, a brief description of your business and any specific issues that might concern you. The Insurance broker can help you prepare a comprehensive plan to cover all aspect of risk, often with a single premium. The theory of left side and the right sides of the brain having different roles to play, suggests that we should decide which side we personally favour and look to balance our own strengths with someone whose brain functions differently from ours. So, if you are the more logical and structured type (left brain), maybe you should find a partner or mentor who thinks of the bigger picture and perhaps the more conceptual side of things (right brain). The idea of the two hemispheres of the mind working differently, gained strength in the 1930's, however in more recent years as a result of brain scans the theory has been viewed by some neuroscientists in a new light. Most researchers now think that the way we use the two sides of the brain and how we approach problems has more to do with our basic personality. The theory does however serve as a way to focus our minds on how we approach the challenges of running a business. To find out which side of the brain you favour, you might want to spend a few minutes to take a simple personalized test by clicking on the hyperlink. Once you've thought more about it and decided which side of the brain you favour, how can you apply this new perspective? Think back on challenges you've faced in building your business. How well prepared were you the last time you went to meet your banker? Did you have all of your financial information at your fingertips (in writing) with details on receivables, equity and liabilities? 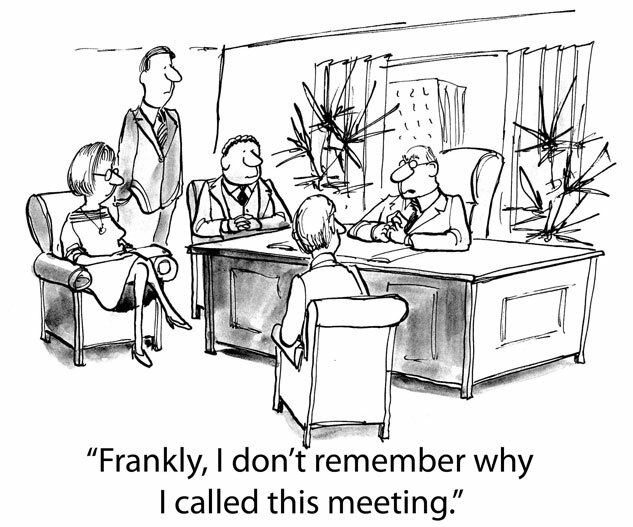 Or did you approach the meeting with most of it your head, supported by a few incomplete documents? Are you organized enough to go over all your numbers each week and each month, to regularly review a spreadsheet and other performance indicators so that you can prepare a strategy to address the numbers that you don't like? Come to that, do you even keep your spreadsheets up to date or do you do them whenever you get around to it, reluctant to go over your sales performance and liabilities figuring that it may be depressing? When looking for ways to expand your business, can you dream bigger dreams? Can you picture the company expanding to seize new opportunities? Or are you likely to get bogged down in the detailed accounting process, which often acts as a damper on creativity? 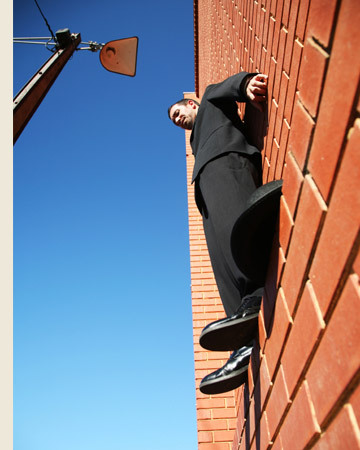 As you can see from the above if you are overly committed to either of these approaches, you're company is going to struggle with either too much time spent on details, being overly cautious, or you may be pursuing great new creative ideas without taking the time to ensure that they are economically sound and affordable. We have all heard the saying; "have a talk with yourself" and in this case it's good advice. The next time you're faced with a decision, find a quiet corner where you're not likely to be disturbed and then have an internal conversation, allowing your mind to explore the thoughts emerging from both sides of the brain. Take along a pencil and paper. After you've developed a series of bullets, you can explore further by expanding on the arguments made. Remember this isn't just a list with the pros on one side and the cons on the other. Each side of the brain will have its own plusses and minuses. This process also helps when it comes time to explain your decisions to staff or investors. It will be quickly apparent you have thoroughly thought through all aspects of the business and have anticipated questions and possible objections from your audience whether they be left brain or right brain. Finally, by becoming more aware of the two hemispheres of the brain, you will have a new ability to determine the perspective of clients, or others, you need to interact with.